My interest in numerology really began when I started consistently noticing repeat numbers around me. Numbers like 333, 11:11, 111, 222, and even 123 started constantly showing up everywhere. As I began to dig a bit deeper, both through meditation and research, I learned that seeing number sequences is becoming a common occurrence for many people, especially those on a path of spiritual growth and awakening. Numbers, like everything else in existence, carry a specific vibration and meaning. In understanding the ‘code of numbers', you can learn a great deal about the messages from your angels, and about your life purpose, path, and even about your personality. There is definitely a link between the angels, and frequently seeing numerical patterns. Many of our angels are using repetitive numerical sequences as a way to draw our attention to their messages. 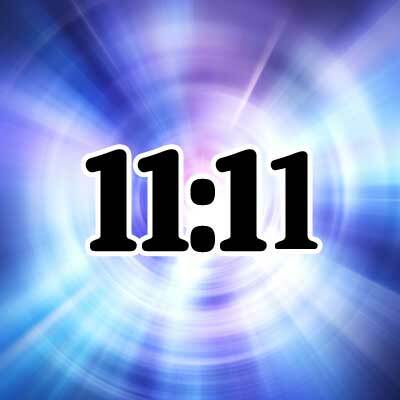 Next time you notice a number sequence which you're consistently seeing… or something like 111, or 11:11, stop for a moment and become present and aware. Ask your angels what the meaning of seeing this number is, what message are they trying to convey? For me, seeing recurring numbers is a huge blessing. It reminds me that my angels are with me and that in every moment there is so much more going on behind the scenes than I can even begin to comprehend. It is a reminder of the magic present in life, and of the Divine light and angelic energy which is all around. With awareness, you can begin to understand the hidden meaning contained in the messages the angels broadcast through numbers. With this you can begin to clearly know and experience the blessings of clear angelic guidance in your life. Numbers are everywhere, and with increased awareness, you will begin to notice there are numbers, and in them signs from the angels, and the spiritual realm around you all the time. Numerology is the study of the vibrational meaning of numbers. Beyond seeing recurring numbers, number sequences hold meaning on many levels. Birth dates, phone numbers, addresses, ages, and more all carry a deeper level of significance, which can be tuned into through looking into numerology. 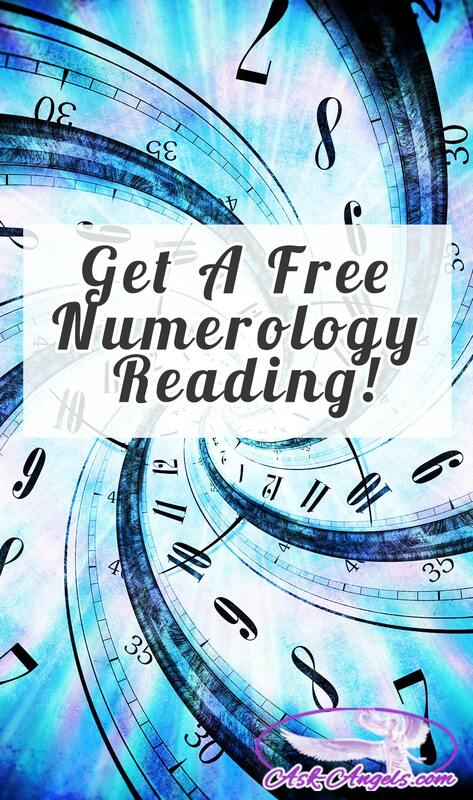 In this free numerology reading you will learn about your life path, your potential natural talents and abilities, and your soul's desire (what you desire to be, to have, and to do in your life at the soul level). And the best part is… It's free! Click Here! For Your Free Reading. I tend to see the numbers 13,11:11,666…I hate the number triple six…I see it on license plates..the number 13 has always followed me…married on the 13th and divorced on the 13th and my social security numbers adds up twice for 13… When I look at the clock, it’s 11:11…what does this all mean? It just means you saw those numbers like 11:11 or 666 somewhere they stuck in your head…so just like when you buy a new car and start driving it in town, to work etc. You start to people driving the same model car as you. Thats all. I see the Number 11:11 on my phone quiet a few times while seeing the time and it has happened to me loads of times and I also see 9:11 .. What does this signify ? DEJAVU ? I see the same numbers every where. Started off with just 1’s, but I strictly see 911 or 119. I know they mean something but I just don’t know what. your so amazing I instantly felt so different brand new person and had this brilliant vision just when i cloed my eyes it was so real i saw myself in this place like tropical island and money just around me and theres a handsome male oooh yeah!!! hes so gorgeous he ask me to come to the aitutaki 1st july be with him and hes building his house,so that was a amazing I feel wonderful now change reaction so its meant to be my day today thank you beautiful angels. I’m learning a lot about angels. I believe they’re from Heaven and are here to help us. I’ve been helped a number of times. Seems someone I can’t see knows when I need help. I saw no one around and from out of nowhere, people came to help. This happened several times. I must have angels watching me. There’s been healings. Some with Dr’s help but, I still think of them as miracles. There are many more to tell about. Angels are real. I like this post. Very useful information. I see the number 13 all the time. And my life has been a living Hell. I’m born January 20th 1987. I am a double Aquarius with a libra moon and Capricorn cusp. I’ve seen the number 10:10 for about 40 years. My numbers are always when I just happen to look at the clock. Other numbers are 123, 1123, 321. AT THIS POINT it just makes me smile when I see them. I’ve always wondered if there is more to it. 222 is the number that occurs to me all the time!! Had a bad expeience in a hotel room with that no, and it has been occurring all the time, related? Thank you for answering my question! Bless you for the work you do!! hello can you please tell me what 13:13, 111,and 666 means. thank you. 1111 is very significant to me I see it all the time. It is also my birth date. I seem to have a lot of 1 in my ss# and DL # I always notice when it is 11:11 am or pm. Hoping you will bring natural reading of reading from outside medium I am being kept from. my birthday date is 11 11 what does this mean ? I have been seeing this kind of inverse numbers for a long time. I have always been interested in angels and want to learn all I can from them. I Always See M Date Of Birth…..7/14. What Does That Mean? I love it all, I want to receive messages form the Angels as soon as possible.